Comedian Ross Noble is launching a nationwide motorcycle ride out with a difference in support of international charity, Riders for Health. The Last Mile Ride, which takes place on tomorrow, Saturday June 21, is a ride out with a destination, but no beginning. You decide where to start, and how to get to the finish. Motorcyclists from across the country will be completing quirky challenges, set by Ross Noble, as they make their way to the MCN offices in Peterborough. Participants will plan their own route to Peterborough – the only condition is that they arrive at the MCN office at 3pm and complete as many challenges as possible! 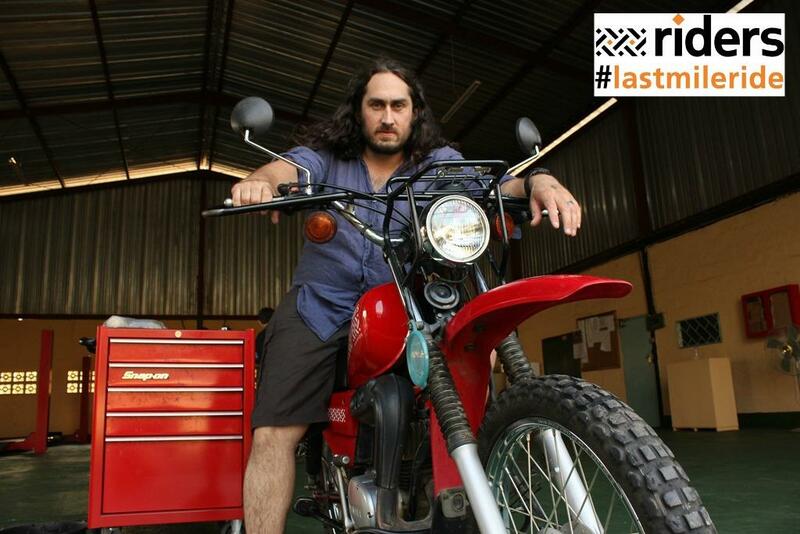 As riders head to the final destination, Ross Noble will be using Twitter to send a series of challenges for them to complete using the hashtag #lastmileride. As they complete their challenges and share their snaps on Twitter, Ross will be keeping an eye out for his favourite and awarding prizes for the very best. For more information and to register yourself or a group of riders for the Last Mile Ride visit www.riders.org/lastmileride. When participants reach MCN, Ross will be there to greet them with some well-earned food and the chance to share their stories from the ride. He will also be awarding prizes for the most entertaining tweets and auctioning unique motorcycle memorabilia and experiences. Ross Noble said: "I’m really excited to be launching an event that brings the whole motorcycling community together to do something they love whilst helping Riders for Health. "I’ve supported Riders for a number of years and the thing we all like about their work is that it is a simple, straightforward solution that is having a visible impact in Africa. "I want to get hundreds of bikers involved from across the whole country. It would be amazing for groups of riders to meet up as they get closer to Peterborough." Registration for the Last Mile Ride costs £30 for a rider and £15 for a pillion and includes entry to all events at the final destination as well as food and a Last Mile Ride visibility vest. Riders can sign up to the ride individually, or can gather some friends for a group ride-out. Participants can also fundraise for the ride, with fantastic prizes available for the groups and individuals who raise the most money. All of the money raised from the event will help Riders for Health ensure health workers in Africa have access to reliable, well maintained motorcycles and ambulances so that they can continue to deliver life-saving health care to 14 million people.